Hi all, I'm back with my second post today! 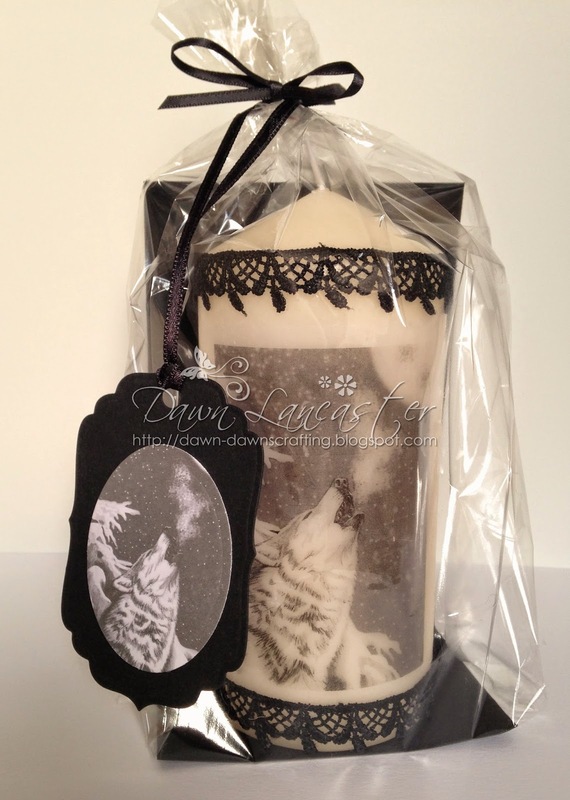 I used Teri's fantastic Bark At The Moon image to decorate a candle! I didn't have a lot of time but I really wanted to do this! wrapped with greaseproof paper & heat set it! Next I added some black Jaipur Lace from my stash et voila! to keep it in place & added a little ribbon & a matching gift tag. Don't forget to play along at The Crafting Cafe! 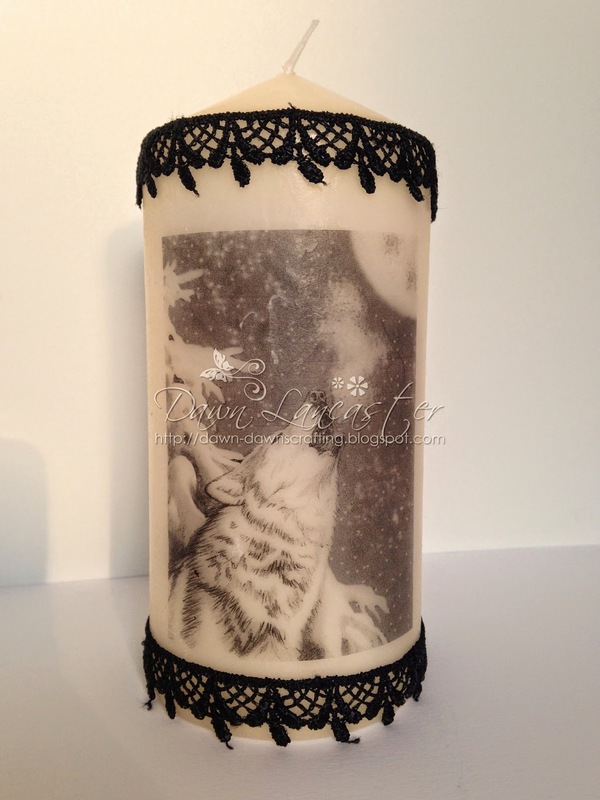 Such a beautiful candle, Sweetie...fabulous image. Love it. Very lovely candle - great decorations! Really like it! This is gorgeous Dawn, I love the image you have used. This is gorgeous Dawn, such a stunning image and your packing is fabulous - it really finishes your project beautifully. This is fab Dawn. Great use of the image and a lovely gift to give. This is absolutely fabulous Dawn, its one of those thing I want to try but never get around to it. The image is wonderful and looks so good all packed up. Wow Dawn, that really turned out well! What a terrific gift and you can include a matching card! Fabulous! Lovely candle, love how you decorate it. This will make a great gift. Thanks for playing along with Mema's Crafts! Thank you for taking time to visit and play with us at Mema's Crafts. Good luck in the challenge.